Other Photographers | 52 Week Photo Challenge with Some Pretty Creative Themes! I’m closing in on my first year of being a member of the Lakewood Ranch Digital Photo Club (LWRDPC). 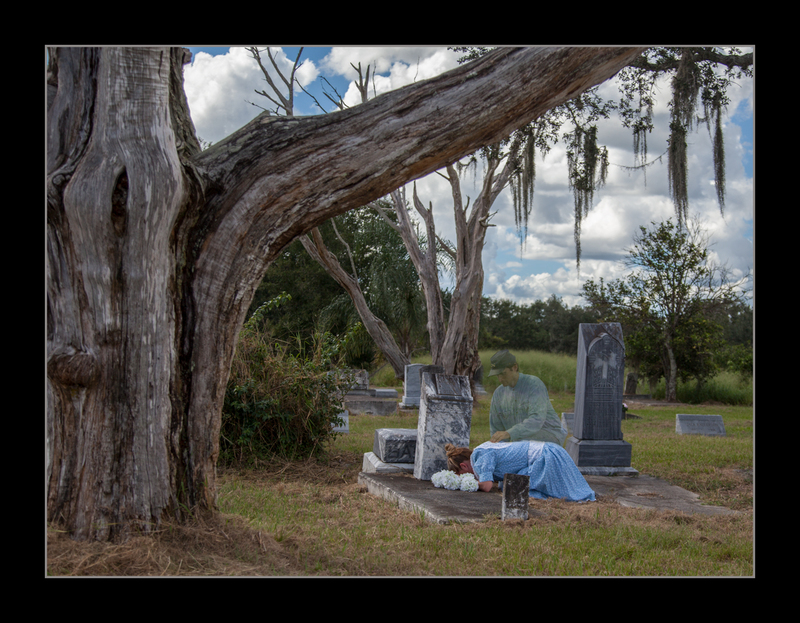 We recently took a field trip to various graveyards for our clubs monthly theme of “scary” photos. L.B., our club president and a few others pre-planned a special photo shoot in addition to our scary theme for this field trip. L.B. even shopped the day prior for some vintage clothing to help depict a widow in mourning over her lost husband to war. 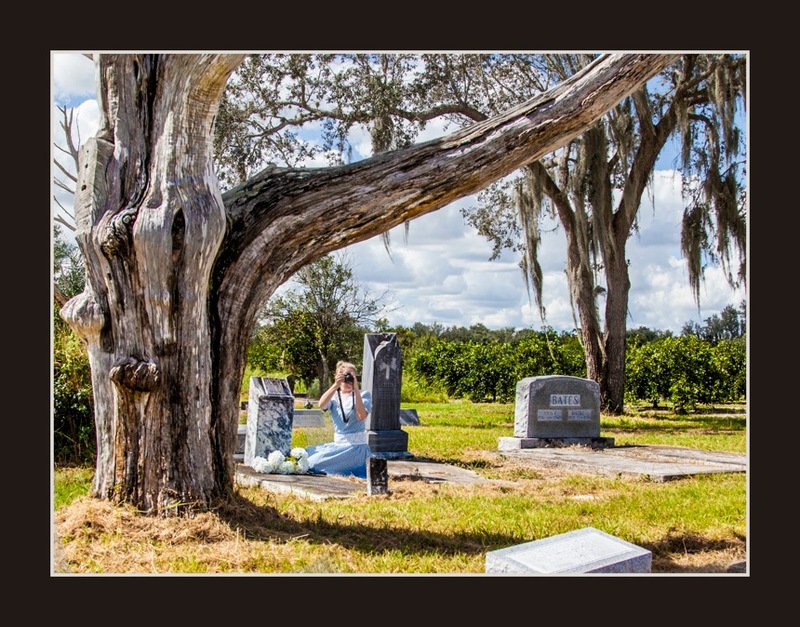 We needed some models to assist in the shoot so I stepped up to the “gravesite” to model. I asked one of our members to grab my camera as I looked up from our second pose as I saw approximately 11 photographers with their cameras starring at me ready to shoot! I’ve never been in that situation before and I had to smile even though I was “in mourning”. Sheryl, although you were mourning, I do appreciate your agreeing to let us photograph you. What a fantastic model you made. This is one of the best “other photographers” photos I have seen. Perfect! 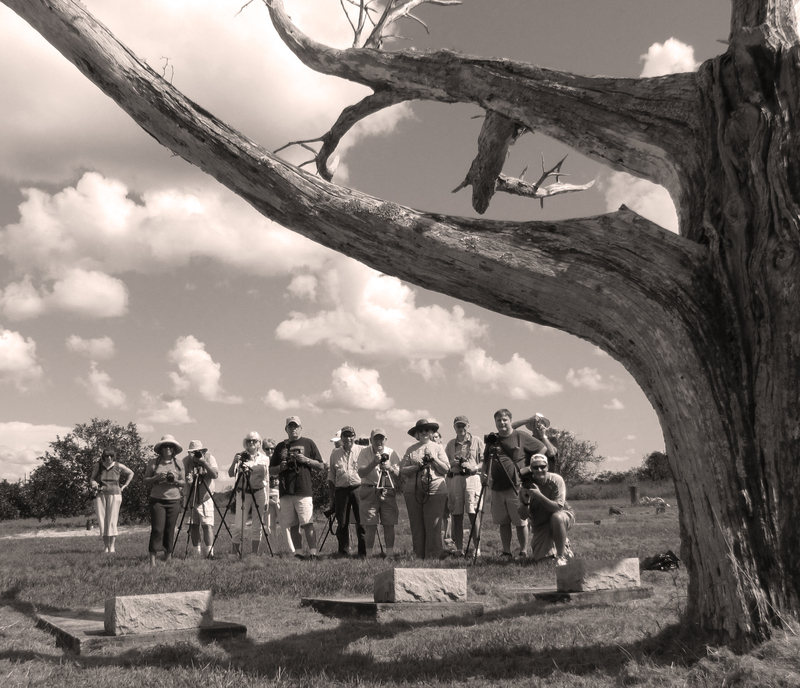 Great shot Sheryl – the models eye on what was going on at that moment – love the framing with the old tree. I think I have a photo of you taking this picture as I wondered what you were up to – now I know. I will send it to you. Well done you nailed this theme. Excellent photo Sheryl. You framed us under the tree perfectly. Thanks again for modeling. Sheryl – Very good photojournalism, and thanks for enduring the heat and mourning period that lasted quite long last Sunday! Love the framing. We’ve never looked so good!